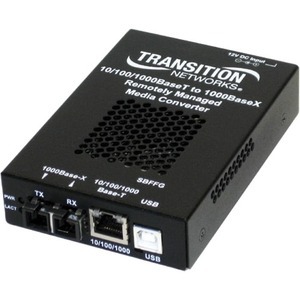 The SBFFG family of stand-alone Network Interface Devices (NIDs) provide a connection between a 10/100/1000Base-T RJ-45 port and a 1000Base-X fiber port. The device is a remotely managed product that offers IP or IP-Less management methods for secure delivery of Ethernet services for business and mobile backhaul applications. With MEF 9 & 14 certification the SBFFG family ensures you are compliant with the latest standards. The SBFFG is a 10/100/1000Mbps product with advance features including - IEEE 802.3ah Link OAM, VLAN, QoS, Bandwidth Allocation and jumbo frame support.